Sustainable Solutions from The Kennedy Group feature a line of environmentally friendly labeling, packaging, and identification products that offer a point of differentiation for packaging designers and brand owners, as well as durable identification labeling for an array of industries and markets. Now consumer packaged goods companies can enhance sustainability efforts without sacrificing brand recognition and shelf appeal with the latest advances in labeling by The Kennedy Group. 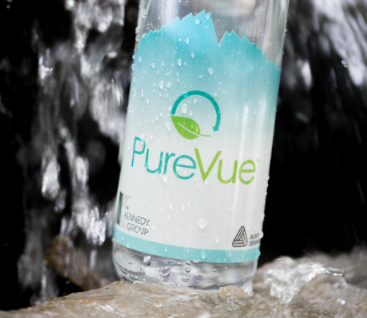 Developed to improve the recyclability of PET containers, the PureVue® Portfolio conforms to the APR Design™ Guide for Plastics Recyclability, which means the inks do not stain the wash water and the labels cleanly separate from the PET flake, resulting in pure PET flakes, the conservation of virgin PET resources, and less landfill waste.